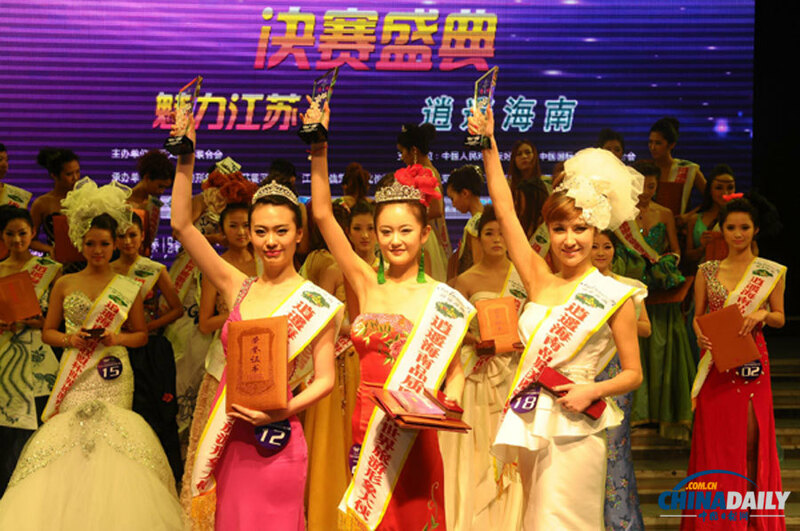 The 6th World Tourism Image Ambassador Contest (Jiangsu Division) concluded in Wuxi, East China’s Jiangsu province on December 27, 2012. Wei Keyao won the championship, Chen Xiaoyun was runner-up, and Zhang Yinan took third place. The contest was hosted by the Asian-Pacific Tourism Organization. It is sponsored by Carefree Travel, a well-known brand of Haikou Minjian Travel Agency, and Yanoda Rainforest Cultural Tourism Zone of HaiNan. The competition aims to boost the tourism, economy and culture exchange and integration between Jiangsu and Hainan provinces. The top 10 contestants from Jiangsu province will attend the 6th World Tourism Image Ambassador Final Contest (China) early this year in Beijing.